For a delicious appetizer or snack, try these Bacon Potato Boats made with our Original Mashed Potatoes, cheddar cheese and topped with bacon. 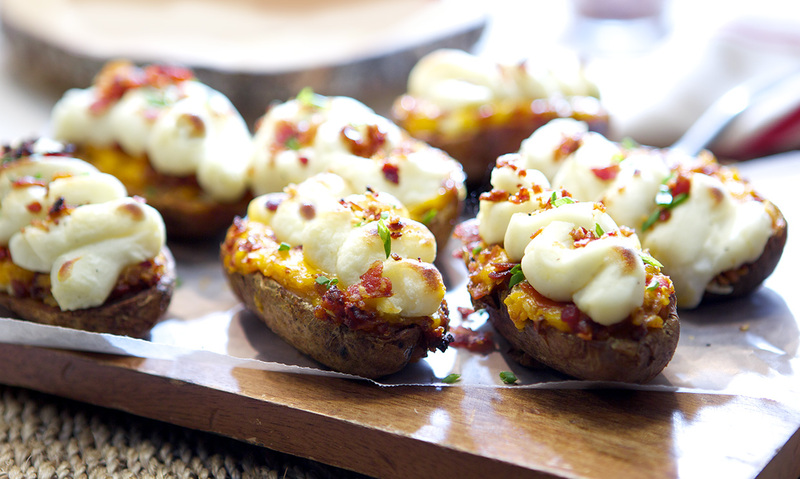 Place potato skins cheese side up on a baking sheet and bake for 15 minutes. 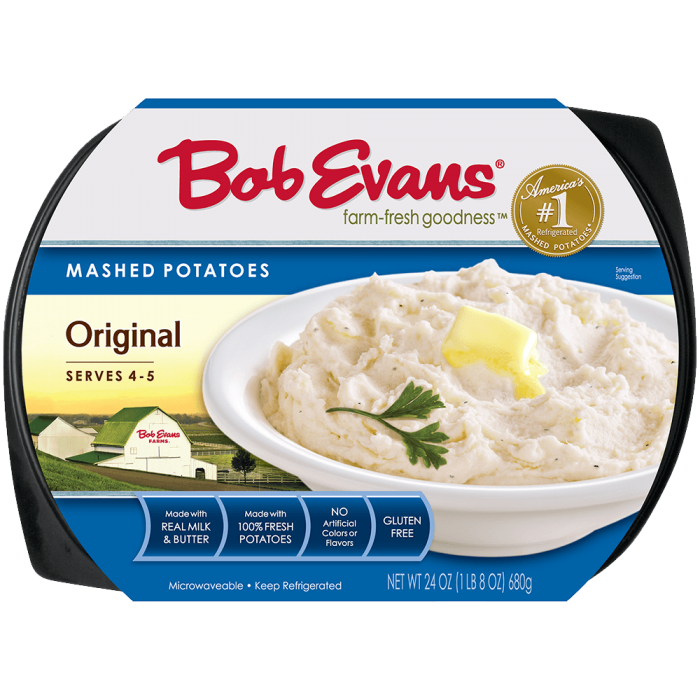 Meanwhile, transfer mashed potatoes to a pastry bag. Take heated potato skins out of oven. Then pipe potatoes on top of potato skins and season with pepper. Sprinkle bacon bits on top and return to oven until mashed potatoes are browned, about 5 minutes. 2 Place potato skins cheese side up on a baking sheet and bake for 15 minutes. 3 Meanwhile, transfer mashed potatoes to a pastry bag. 4 Take heated potato skins out of oven. Then pipe potatoes on top of potato skins and season with pepper. 5 Sprinkle bacon bits on top and return to oven until mashed potatoes are browned, about 5 minutes.